Thanks to those of you who have visited our exhibit in container #58 at Photoville so far! We have one more weekend of events here in Brooklyn. 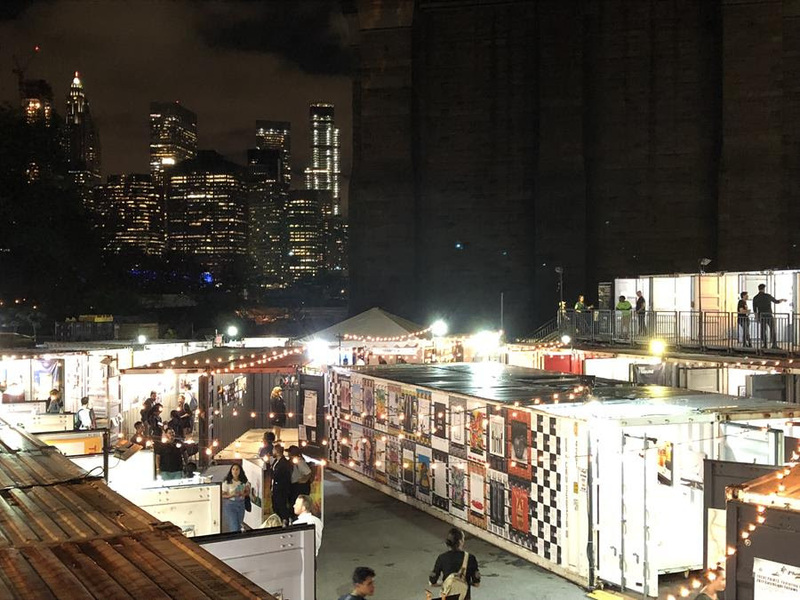 Click here to read more about Photoville, a festival that takes place at Brooklyn Bridge Park and is free and open to the public. Read below to see what Blue Earth has in store. 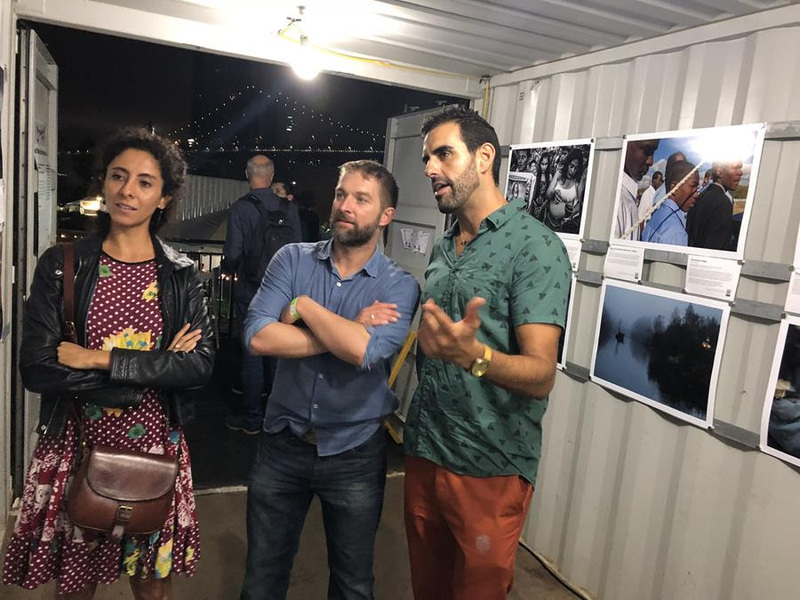 Project photographers Scott Brennan, center, and Rubén Salgado Escudero, right, in our container exhibition last weekend. Both held talks about their work. Sept. 21: Artist talk with Nathan Weyland at 5:00PM in container #58. Click for Facebook event. Sept. 22: Artist talk with Mark Kauzlarich at 3:00PM in container #58. Click for Facebook event. Sept. 22: Artist talk with Nathan Weyland at 5:00PM in container #58. Click for Facebook event. Sept. 23: Portfolio reviews with Blue Earth board members from 3:00PM-5:00PM in the PhotoWings tent. Email [email protected] to reserve. Sept. 23: Artist talk with Nathan Weyland at 5:00PM in container #58. Click for Facebook event. 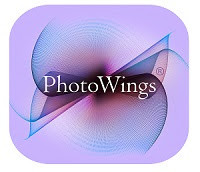 Thank you to our sponsor, PhotoWings, for making Blue Earth’s presence at Photoville possible. Another special thanks to Digital Silver Imaging for the prints.